There's so many things that I want to remember about the day that Kaia was born. I remember Sage calling that morning randomly to ask if she could give Dallin a ride to school. I remember that I had sent my car seat away so that Chelsi could make a cover for it so I had nothing to bring Kaia home in. Christy had to let me borrow hers for the first little bit. I remember driving myself to the hospital because I wasn't sure I was in labor but sure enough Kaia was born four hours later. Apparently I was in labor! 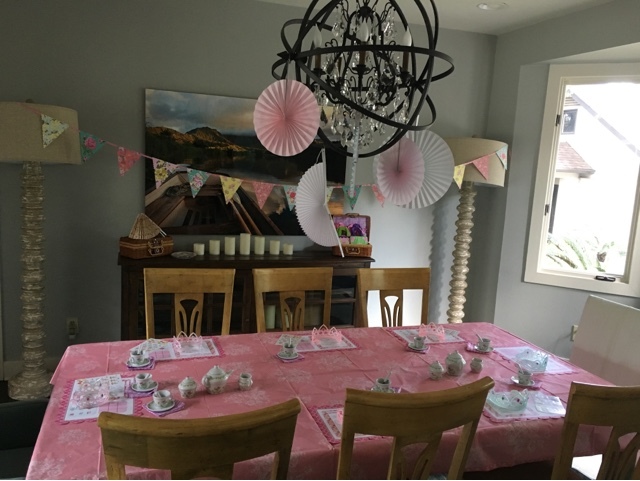 We decided a couple weeks ago to have a tea party for Kaia's birthday. Yesterday I was talking to her and I was telling her that I was going to decorate while she was at school today and that she'd come home and be surprised by all the decorations. But she said she really wanted to help me get everything ready. She wanted to help set the table, put up the decorations, and get everything prepared. So that's what we did yesterday. It was another one of those moments where I was in awe at the difference between boys and girls. I love having a little girl! 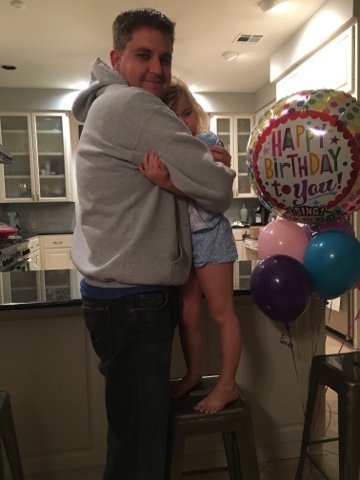 I love that she wants to help me with anything and every thing, that she wants to plan her own party, and prep for her own party. This is the good life! Yoshi with his 5 year old! Kaia LOVES her cake which obviously makes me feel like a million bucks. 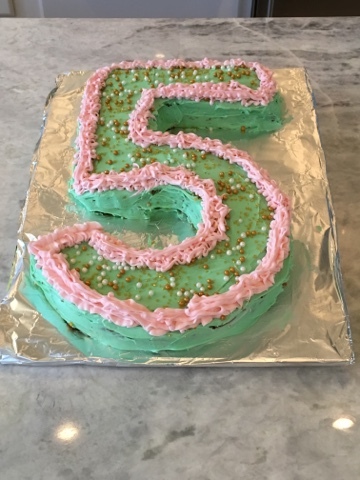 She wanted a number 5 cake and then was thrilled with the colors and the gold accents. Bless her because truth be told- it's a roulette roll with her. But this time around I was getting a lot of I love yous and you're the best mom.